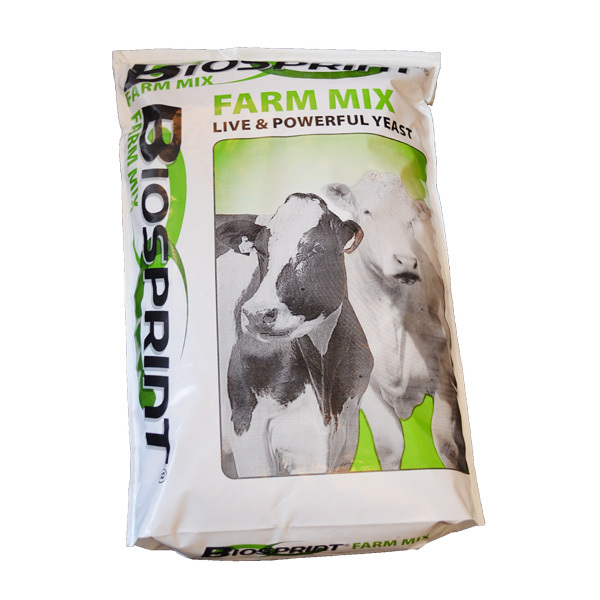 Biosprint Farm Mix can be used as a top dressing mixed into feed as part of a TMR ration. Biosprint is a specific live yeast which optimises feed efficiency and consequent animal performance. It stimulates the rumen appetite to achieve efficient and profitable production. Biosprint reduces the risk of feed related digestive upsets and helps animals meet their genetic potential by giving the rumen a chance to work at its best.